Drill Team Class Outside of School :: So, you’ve signed up for a dance class at your school. Or, even better—YOU MADE THE TEAM! Either way, you deserve a congratulations because you are committing yourself to learning more and improving yourself. Next, you need to think about what your goals are. Do you want to improve your flexibility, your turns, your jumps? Do you want to make officer or make all competition dances? Your school dance teacher is definitely knowledgeable and a great resource. However, your school dance class presents limits such as class size, time, and requirements on what your teacher must teach. In addition, often there is a very large differentiation in levels within one class in a school setting. Take it a step further… I can guarantee your school dance teacher wants to help you. Unfortunately, the reality is he/she has more to do than you could ever realize and just simply doesn’t have the time. This is where you should look into attending studio classes. The classes are much smaller and the teacher can give a lot more individual attention. The studio teacher doesn’t have the requirements on what to teach like your school teacher does, and therefore can tailor each class according to what you need. As a former school dance teacher myself, I speak from experience. 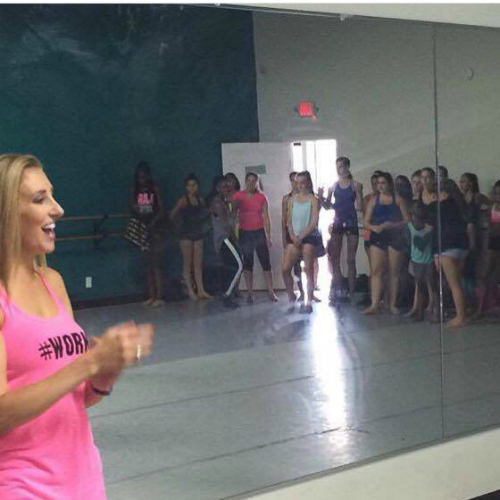 With 50 dancers crammed into a class (some of which didn’t even want to be there! ), fall/spring concert dances to create, district requirements, school requirements, time constraints, etc. there was never enough time to give all of my students everything I wanted to. There were girls trying out for the drill team that I would’ve loved to work with extra, but I just simply didn’t have the time. There were girls trying out for officer that I really wanted to push to the next level, but again . … just not enough time. This is where a good studio teacher can help. A studio teacher is another set of trained eyes to push you to that next level. He/she can help you correct the bad habits, help you hit the things you’ve been struggling with, and often say things in a different way than your school teacher. Also, a different teacher presents things in a different style which will help you become a more well-rounded, versatile dancer.